For more than 70 years, Bhartiya Jalpan has made sure that customers keeps coming back to us by maintaining the same quality in our products, and that these provide the best value for the money spent. We have been serving Mithais made from pure Ghee and Khova for over 70 years now. 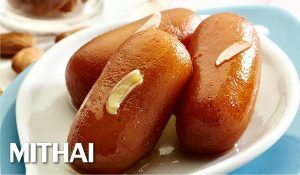 Our loyal customers keep coming back to purchase and savour our Rasgulla, Gulab Jamoon and vast varieties of Barfis that have been popular for ever. 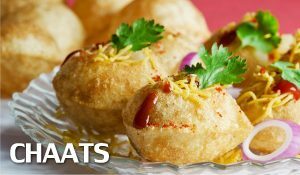 Our ever popular chaat counter continues to attract customer of all ages, as no one is able to resist the fragrant aromas of samosas, kachoris, tikkis and jalebis, wafting from our live counets to entice the olfactory senses. 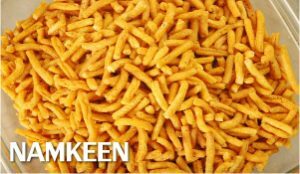 Our Namkeen are as popular as our Mithais, and why not? Customers love the crunchy snaks as well as the soft and succulent dhoklas that they eat in our shop and then get some more to take them home, to continue enjoying the tasty titbits.